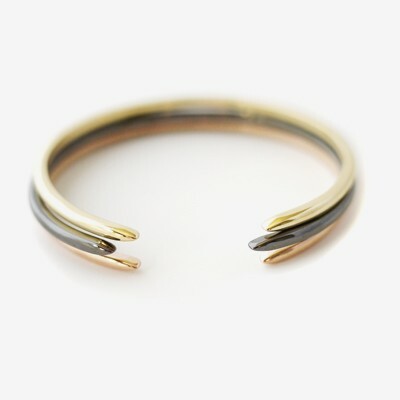 These stacked, minimal cuffs create various designs in the negative space created between the delicately pointed ends of the bracelet. Choose from a variety of mixed metals for your own statement look. Available as a single bracelet or a set of 3. Materials: Brass, 14k gold plate.